Welcome to our series #CartedByT30, where experts, influencers, and anyone who just really knows how to nail down a grocery list show us exactly what goes in their carts each week. Tune in to our Instagram Story on Sundays to walk down the aisle with them, and then shop out the products here. 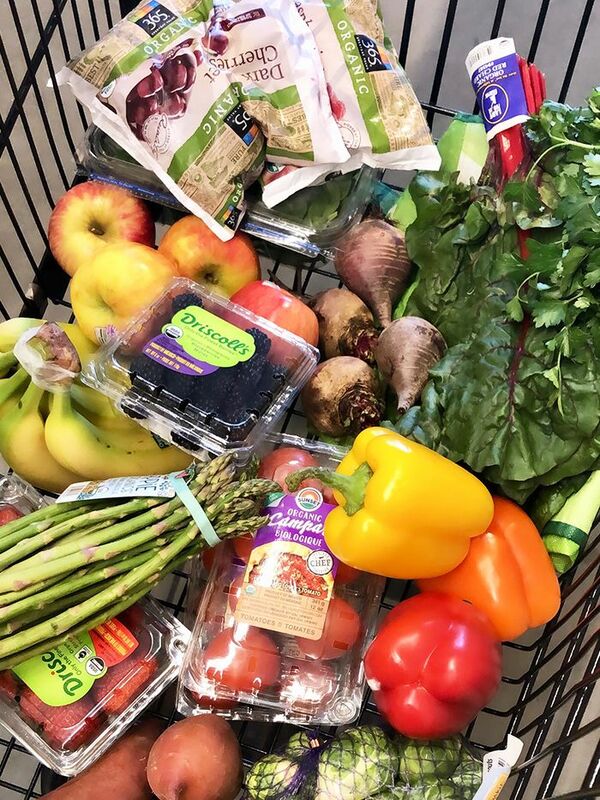 This week, integrative nutritionist Samantha Franceschini shares the healthiest produce she always adds to her grocery cart and why you should, too. As an integrative nutritionist, I see a lot of clients in clinical practice and the number one question I get is how to shop healthy on a budget. Truth is, there are endless ways you can cut costs when it comes to eating healthy, and you do not have to compromise when it comes to committing to a healthier lifestyle. One way I save tons of money is to buy my produce at Whole Foods and then all my nonperishable stuff—like my spices, dressings, oils, vinegar, snacks, and superfood powders—on Vitacost. Although it may only seem like it's saving you a dollar or two, it can save you a whole lot of money in the long run. Keep reading for some of the healthiest produce I always add to my cart and why you should add them to your grocery list, too. Beets are great additions to smoothies or roasting up to toss in salads. The vegetable is detoxifying, immune-boosting, and super flavorful! Personal opinion: Asparagus tastes best roasted. I love adding it to salads and pasta dishes. It's a great source of folate; vitamins A, C, E, and K (benefits of vitamin K here); and chromium. The king of magnesium (psst: here's how to tell if your magnesium level is too low), Swiss chard is a nutritional powerhouse and tastes similar to spinach. It's great to sauté or use in replace of another leafy green for a salad. Apples are a great source of fiber. You know what they say: An apple a day keeps the doctor away. Turns out, it really does contain compounds that promote the growth of good bacteria in the gut keeping us healthy and boosting our immune systems. I love having them as snacks or chopping them up to sweeten a salad. Berries are packed with vitamin C, which makes them perfect to boost the immune system. They also support oral health, brain health, and provide tons of fiber to keep you regulated. Always buy these organic as they are one of the Dirty Dozen. Aside from fresh fruit, I always have frozen handy. Great for smoothies and loaded with antioxidants! Fun fact: Bell peppers contain more vitamin C than oranges, lemons, and limes. They support healthy vision, heart, and immune system. My favorite way to use them is raw chopped in salads or in a sweet curry stir-fry. Tomatoes contain lycopene, an antioxidant that has been linked to many benefits including reduced risk of heart disease and oxidative stress. My favorite way to use tomatoes is to blend them with some fresh herbs and spices in my Vitamix to make a raw pasta sauce. Zucchini is a staple for me, and I enjoy them all year round! I love roasting them and using them as a pasta alternative (such as zoodles or veggie lasagna). In the freezer, my bananas go! I have a half of a banana every morning in my smoothie to keep me regulated and provide me with potassium. Cruciferous veggies like brussels sprouts, broccoli, and cauliflower are great to gently detox the body. They also provide you with great amounts of folate, fiber, and vitamin C.
For me, sweet potato fries are a must. Sweet potatoes also make great additions to curries and even smoothies for an added boost of vitamin A.
It’s so important to spice up your meals with herbs. They are antimicrobial, immune-boosting, and so tasty. I use parsley, cilantro, and basil to make pesto and use as a sauce or dip.